That distant drum beat you’re hearing? That’s the sound of the coming CPU war. The latest beat came this morning, when AMD said it was holding a sneak peek of its high-performance Zen CPU in a few weeks. The preview will be streamed at 1 p.m. PST on December 13. 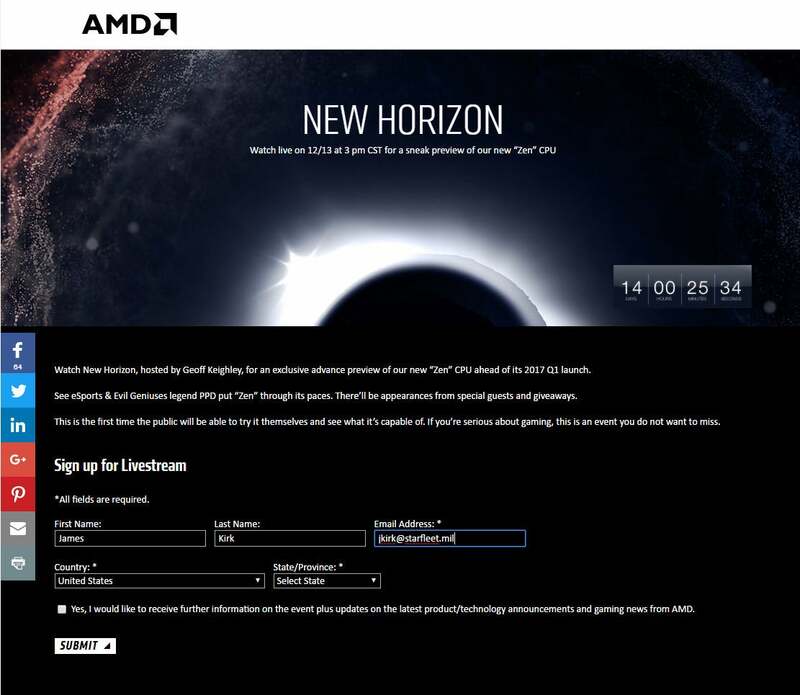 You can sign up at AMD’s website to be clued in. Anyone can sign up to see a sneak peak of AMD’s upcoming Zen CPU in action on Dec. 13. 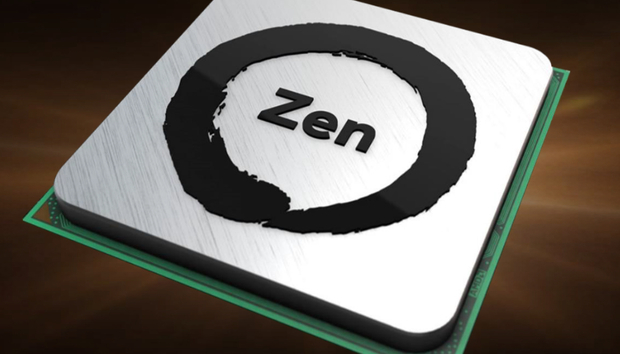 Reading between the lines, it's possible AMD will show off the rumored quad-core version of Zen. Recent unconfirmed leaks show AMD with four Zen-based CPUs in the “Summit Ridge” family at launch early next year. The top end may include two eight-core chips with Simultaneous Multi-Threading, as well as the SR5 with six cores, and a quad-core SR3. The bombshell, if the rumors are correct, would be the aggressive pricing. The highest-end 8-core will be $500, while a second, slower eight-core chip could be as low as $350. Even more disruptive would be a six-core SR5 for $250 and a quad-core SR3 for $150. For comparison, Intel charges nearly $320 for its quad-core Core i7-6700K chip, and the cheapest six-core costs $380. Why this matters: Intel has essentially had no competition from AMD for nearly a decade in the performance arena, and it has shown. The 10-core Core i7-6950X launched in May at an astounding $1,723. If Summit Ridge can hit the performance AMD claims, and at the rumored prices, 2017 will bring a CPU war unlike any we have seen in years.